Colombian green coffee is considered one of the best coffees in the world. Although the type of coffee bean, Arabica, is the same for all coffee we brew, Colombian coffee has something that the other kinds of coffee beans don’t have. The mountain hillsides of the Colombian terrain make it a great place to grow 100% pure Arabica coffee beans. Furthermore, many families in Colombia make an income by producing by growing coffee beans on plantations, which means that there’s not only a profit incentive, but also a pure existential one as well. The need for high quality coffee beans has grown over the years ever since coffee was introduced to the “western” world. Since many Colombians have an incentive to produce the best quality coffee beans they can, and they have the necessary climate and terrain to do so, categorizing their coffee is almost too easy for experts. On the scale of coffee quality in the world, Colombian coffee ranks higher than any other coffee. However, the trick to getting this kind of successful product is careful growing and harvesting, and presentation. Aspects like roasting, importing, bean choice and customer guidance in fully appreciating the taste of the coffee beans that come from Colombia is also something many plantation owners take great care to accomplish. Just growing the coffee plants and harvesting their beans is not enough in today’s market. Even though the plantations in the Colombian hill- and mountainsides seem isolated from the rest of the world, there’s an elaborate system in place that is integral to the rest of the world’s ability to experience and enjoy Colombian coffee. Great care is put into the many aspects of growing and harvesting coffee, but also in helping customers get the authentic feeling of the “real Colombia” every time you brew yourself a cup of Colombian coffee. There are many ways to roast green coffee. However, the three main types of roasting are primarily concerned with the amount of time that the beans are roasted for. We distinguish between three different roasting levels: light roasted, medium roasted, and dark roasted. While every kind of roasting level has its own shortcomings and advantages, it is always best to become informed as to the best way to roast the particular green coffee that you have. If you ask Colombians living near the coffee bean plantations in the country, almost everyone will tell you that Colombian coffee beans are best when medium roasted. This kind of roasting enables the coffee beans to keep their natural vanilla and caramel flavors when prepared for consumption. Importing Colombian coffee in a way that seals in this natural flavor is almost as important as the growing and harvesting of the beans themselves. Packaging and transporting Colombian coffee beans is a process that requires high levels of expertise. Although many manufacturers and plantation owners have their own system to preserve their coffee beans, the importer has to know what to pay attention to once the cargo is loaded. Difficulties don’t end with just transportation. Inexperienced importers of Colombian coffee beans may improperly store the beans once they arrive in the United States. 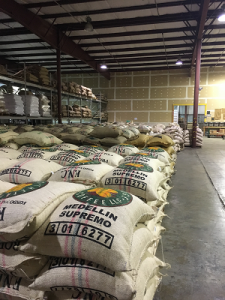 If the importer has not thought out their warehousing system, the coffee will be affected by the local climate conditions. That’s why it’s very important to choose an importer that has experience in warehousing and transportation. Companies like Theta Ridge Coffee LLC, for example, show a professional take on all aspects of the importing process for Colombian coffee and all major coffee types from around the world. That’s why companies like Theta Ridge make great importers – they understand the Colombian coffee experience. Colombia is second in the world in terms of coffee plantations. It generates around 12% of the coffee market on the entire planet. This means two things: one, coffee is considered as one of the major goods coming out of the country, which means that the economy is largely oriented towards improving not only the standards of manufacturing, but also of the quality of the coffee; and second, even if we’re not thinking in terms of economic growth, the people living near the plantations in Colombia (and there are a lot of them) don’t just produce coffee, they live it as well. Anything that is made with tradition and passion in mind always gives it a special kind of aura. This makes Colombian coffee more than just a beverage. It’s an exotic and refreshing way of life you can enjoy in the comfort of your home. 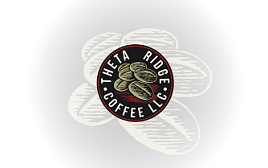 You can follow Theta Ridge Green Coffee Importers on Facebook and Instagram.